I've been using a red Canon 1100D DSLR for years already to document my blog events and outfit posts with a good quality camera. But during trips, like the time when I went to the States last Christmas, I don't want to bring a bulky and expensive gadget so I just use my camera phone. The problem is that it has limited memory, so I have to delete pictures from time to time, plus I can't even take lots of videos! That's why, with perfect timing, I am so happy to receive this Canon IXUS 265 HS digital camera a few days before my Zambales beach trip. It is compact and lightweight--making it easy to bring during my travels. 1) Quality and SLR-ish photos with the camera's 16 Mega Pixels, and movie in full HD. 2) Zoom in to distant subjects using the powerful optical zoom and 24x ZoomPlus, and still maintain the quality. But with the Canon IXUS 265 HS--Hi baby! 3) Wi-Fi and NFC for easy connection to your smartphone and for sharing on social networks + upload images to Canon iMage Gateway. 4) Creative Shot which gives effortless artsy twists to your shots. My favorites are the Fisheye and Toy Camera Effects - both perfect for beach shots! 5) User-friendly camera... So if you don't want the other creative effects, the Smart Auto takes care of all the camera settings. 6) Get a movie summary of your day with Hybrid Auto feature. 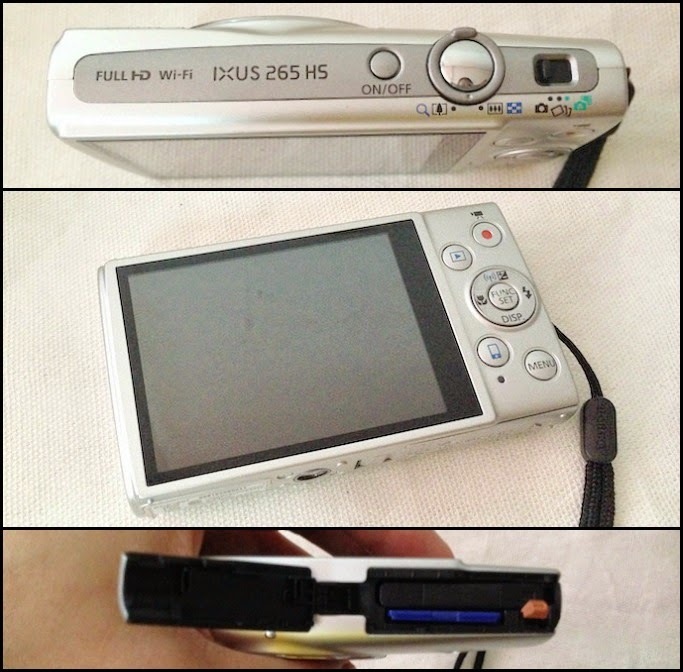 8) IXUS 265 HS's special selfie features with its "Smart Shutter" option where camera automatically clicks when it detects someone smiling! 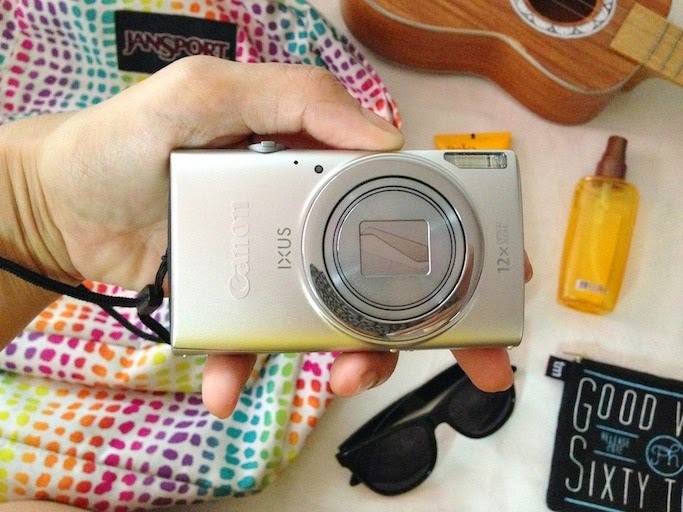 With a nice background, lighting, and experimenting on your angles--take a nice selfie with the Canon IXUS 265. The camera even comes with an IXUS selfiepod making it the best documentation gadget for all your events and even to your travels! Capture more memories. 1. Choose the right background and flattering lighting - outdoor shots are still the best! 2. Know your angle, avoid the duck face, unless pa-joke! 3. Take off your phone cover because it usually shows sa sides of the photo. 4. Wear the right makeup and style your hair, make it look effortless or not too staged though! 5. Apply a filter, or use phone editing apps to enhance photo. And of course: 7) Make sure you use a quality camera like Canon IXUS 265, it comes with a selfiepod too! For more info and updates on CANON and CANON IXUS 265 HS, follow Canon Philippines on Facebook, Twitter at @canonphils, and Instagram at @ishootwithcanon.